Mods, of a game from a time when the Steam Workshop simply wasn’t around, in this feature we explore mods in varying stages of completion and of equally varying quality. Starting with my hot picks from Star Wars: Empire at War: Forces of Corruption, a title with a surprisingly strong community considering it was forgotten years ago by the wider gaming audience. 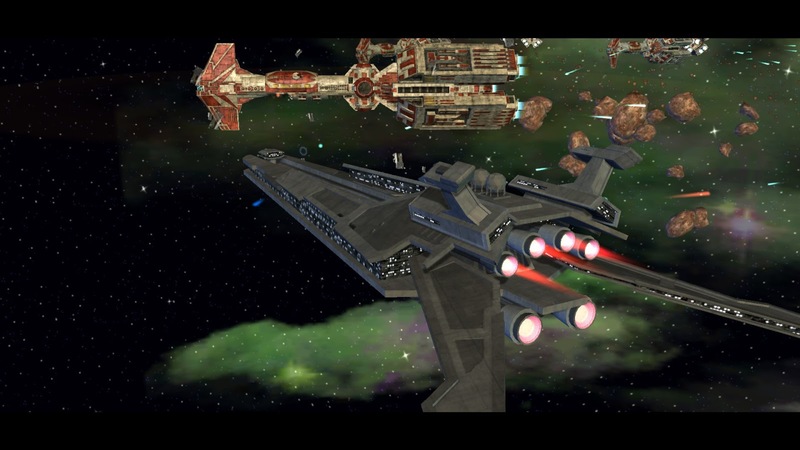 Forces of Corruption is the rather excellent expansion to Petrogylph’s Star Wars: Empire at War (2006), a real-time strategy game that offers both land and space battles, pitching the Rebel Alliance, Galactic Empire, and Underworld factions against each other for control of the galaxy. 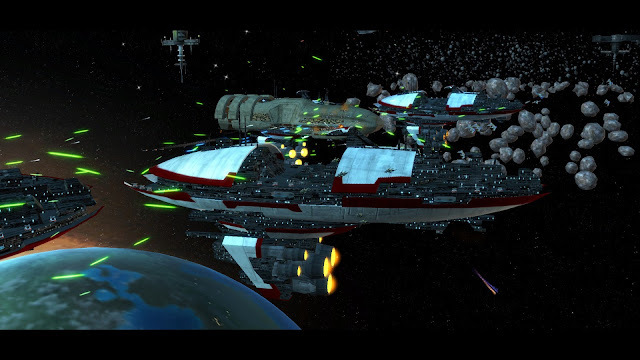 The space combat is the strongest single element of Empire at War, and I believe a prime factor of the games continued longevity. The ground engagements are fun in their own right, but the space combat is a league beyond. The way it handles weapon types, movement and range, the balance of capital ship classes and star fighters, combined with the hard point system, and deployment of reinforcements, makes the player’s choices and commitments meaningful, placing an emphasis on well-conceived formations and the micromanagement of ships. As a result, the vast majority of mods focus primarily on the space combat, and I’ll likely do the same when I write about them. Scouring the annals of ModDB, which is where I located all of the Empire at War mods that’ll we feature over the next few days, can be a lengthy and tiring process. I haven't played everything this is on offer, obviously, but I’ve checked out a lot and spent a lot of time (literally days in some cases) with those I intend to cover. As anyone who has any previous experience with mods is no doubt aware, mods of scale usually never see ‘completion’, sometimes despite years of development; these are fan projects after all, undertaken by individuals and teams usually for no reason other than to create and share something awesome. I won’t really be reviewing these mods, not in the way I review games and certainly not with scores, rather discussing what they offer, why I spent so much time them, and pointing out some of their rougher edges. We’ll kick things off with the Old Republic Era, the earliest period of the Star Wars timeline I’ve seen any mod delve into, specifically the Great Galactic War/Cold War (the setting of the MMO Star Wars: The Old Republic, the other game I burn a questionable amount of my life playing). Second Great Galactic War V0.8 is the mod I tend to play, when I feel that feverish urge to command Harrowers into battle. As the name suggests, the mod, last updated approximately two years ago never saw true completion, but it is the most playable and least objectionable take on the era that I’ve yet played. It features three factions; the Republic, the Sith Empire, and the Mandalorians. No the Mandalorians are not a true superpower during this period of time, but T-shaped visors are always in vogue in the Star Wars universe. 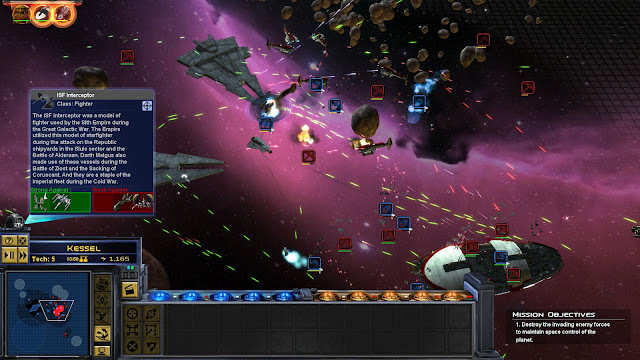 Second Great Galactic War V0.8 indulges in some quite necessary liberties in order to remain fun and varied, because Bioware weren’t creating assets to fill a strategy game’s unit roster when they created The Old Republic. Each faction contains units from earlier time periods, namely the Mandalorian War and Jedi Civil War, times portrayed by the Knights of the Old Republic games and comics. At first blush this is the exact kind of thing that may well turn a purist off this mod, but the result is an acceptably sized roster of units for each faction, making the mod eminently more playable than it might otherwise have been. The mod has issues though; unit cards are messy and inconsistent, so too are the characters with Boba Fett being alive and kicking well over 3000 years before he should and Darth Marr riding an equally out of place AT-AT. And while not really a problem per se, I have notice a great disparity between the difficulty levels of the AI, specifically on the campaign map. On easy the enemies are complete push overs, but notch it up to normal and you’ll be swarmed by fleets brimming with the faction’s heaviest ships in a manner I just haven’t seen in other mods, nor the base game. As you may expect from a mod that didn’t actually reach the stage of a version 1.0 release, Second Great Galactic War lacks the polish and shine of some of the other mods we’ll take a look at over the coming days. There are a couple of alternative mods for this era, though like Second Great Galactic War V0.8, none are wholly complete. Old Republic at War had a ‘skirmish release’ back in June 2013, this mod has good looking models and effects. However, this release only offers skirmish battles as the name suggests, and has its own issues; like the UI being partially removed and the Star Wars music replaced – with at least one of the new songs having been ripped straight from Code Geass. From every indication I have seen, the future of Old Republic era modding appears to lie with The Old Republic: Ultimate War. This mod is the only one of the three discussed that is clearly actively in development, though only a ‘Space Alpha’ has been released as of yet. Early next week we’ll take a look at a rather excellent Clones Wars era mod, so be sure to check back for that!